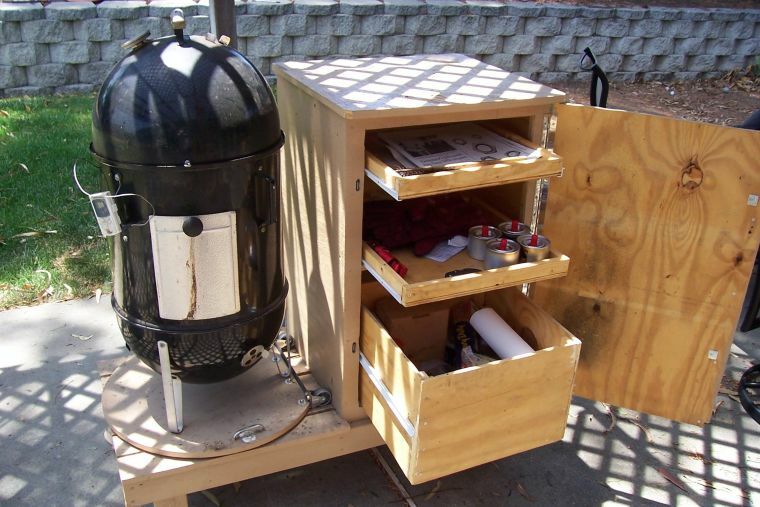 I started with the VWB mod for adapting the Weber worktable to the WSM. Upon finishing this project, a bigger, better idea cam along. 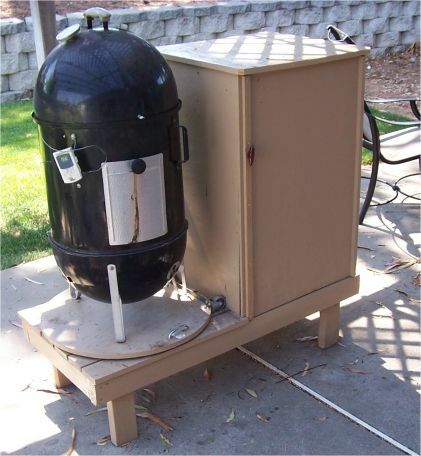 Why not a caddy for the WSM? About 2 feet by 4 feet, the WSM sits on the caddy, raised about a foot - that's good for me. A cabinet is built in the remaining 2'x2' space on the right. 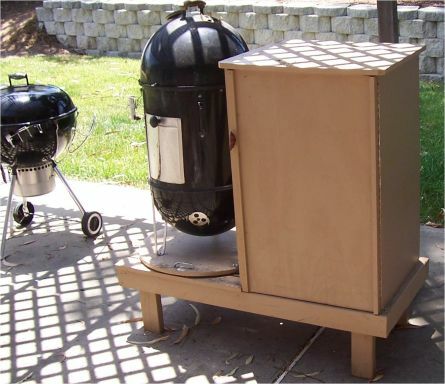 This will form a natural wind brake for the Weber, provide storage for all the BBQ tools short of perishables, and it gets it off the ground so I don't have to crawl around. Everything is stored in there, from sterno coal lighters, gloves, tin foil, even paper towels. I'd even store the knives there if I could do the trimming out there. The trick about this though, is that I really don't have the kind of tools for doing this - I had to consider how each piece would fit together to compensate for non precision cuts and still allow drawer slides to roll without binding. No easy task. 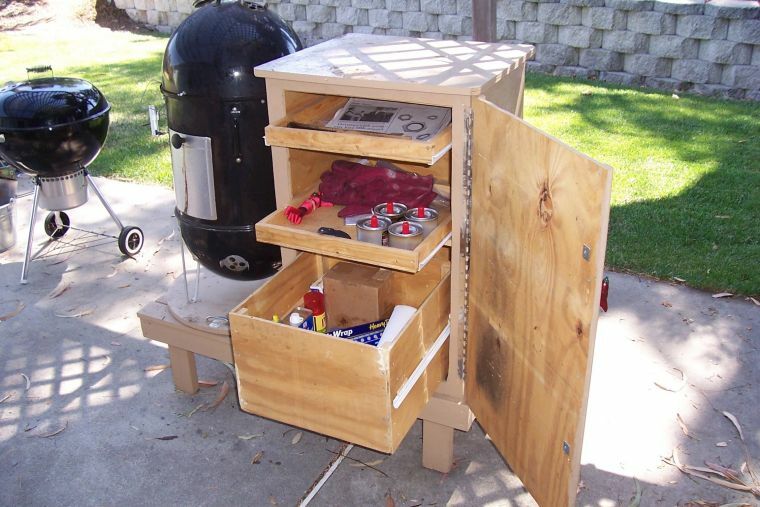 This cabinet was made using only hand tools - a skill saw, jig saw, hand saw, and a drill. It's a little rickety, but the slides work, and the door closes. A coat of paint made its appearance more palatable to the wife, and a custom made vinyl cover and you're done.